The bedroom, as a place to rest and relax, should be designed to provide the ideal environment. The focal point of the bedroom is usually the bed, so it’s natural to want the best bed. Round beds are becoming a popular feature of modern luxury bedrooms. There’s a variety of round beds for contemporary bedrooms. Round beds have really attractive design. They can add an interesting touch to any bedroom. For modern bedrooms, you can choose round beds with sleek leather upholstery to create a feeling of luxury. For smaller bedrooms, create the illusion of more space by choosing light-colored round beds. You can buy a bed that matches the color of your walls or the rest of the furniture. 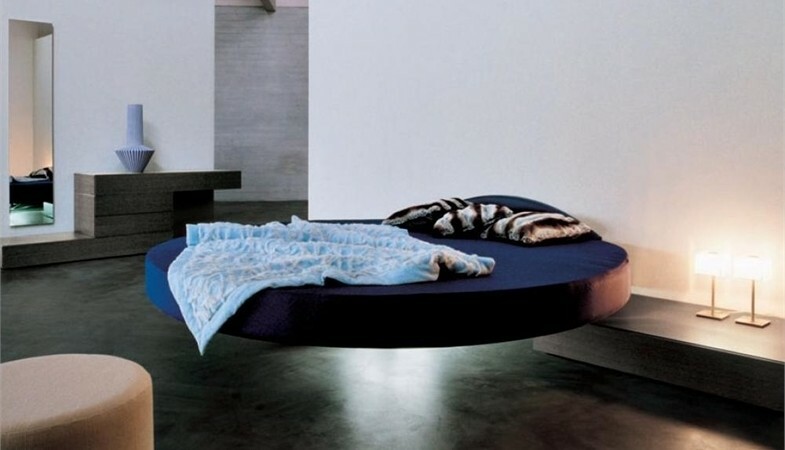 For a more futuristic look, you can go for floating round beds. 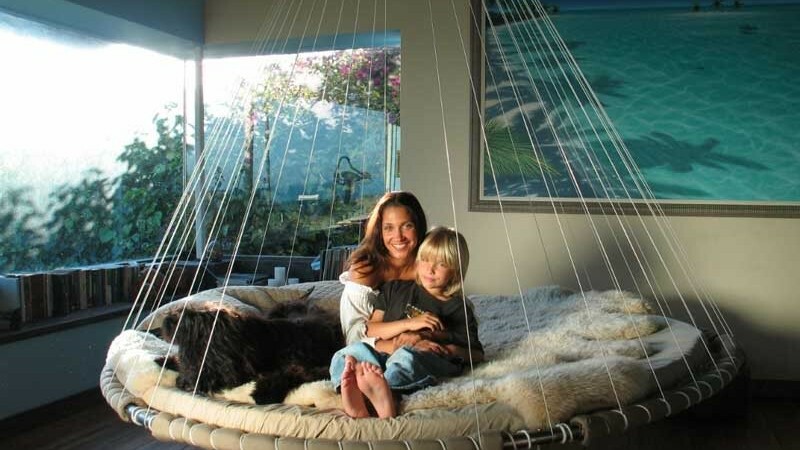 This is a great way to combine the two most popular trends in bed design – round beds and suspended beds. For these awesome floating round beds, the designers created an unusual base, which gives the illusion of absolutely floating beds. These floating round beds give you the option to adjust their height. The built-in lights add a really charming touch, creating an amazing atmosphere in your modern bedroom. Hanging round beds are another option for contemporary bedrooms. Hanging round beds will make any bedroom look modern, stylish and naturally appealing. And the best part is that now your bed can gently rock you to sleep, creating a calming effect. Don’t be surprised if you find yourself wanting to stay in bed all day. If you choose to install a hanging round bed in your bedroom, make sure your ceiling is strong enough to support the total weight of the bed and your body. If you really like round beds and plan on buying one for your bedroom, you should carefully consider all the pros and cons. Although they look really beautiful and stylish, round beds take more space and may not be so comfortable if you’re not going to sleep in them alone. Bedroom Design bedroom, interior, luxury, round beds. permalink.